Hyderabadi Dum Biryani is the king of all biryanies. It is a mixture of original Andhra cuisine and Hyderabadi cuisine, having Mughlai influence. Basically, there are two kinds of Biryani: Pakki Biryani and Kachchi Biryani. Today I’m going to share the making of Kachchi Biryani. 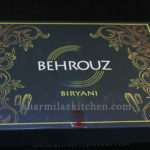 It is an actual biryani where raw marinated meat placed on the bottom of the pot and then layer with par boiled rice, seal and cook on a low flame for hours, so that the rice is cooked with steam generated by air tight environment. this entire process is known as DUM method. 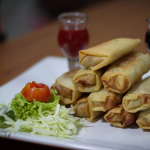 As a result you are getting juicy and succulent pieces of meat that melts in your mouth and each rice grain is well separated and cooked nicely. When you are choosing meat for biryani, make sure meat pieces are big in size and they are raw tender and lean otherwise the biryani will not come out well. As you know the meat takes long time to cook, that’s why you have to use meat tenderizer. Raw papaya juice and pineapple juice are natural and powerful meat tenderizer. Apart from these different brands of meat tenderizer available in the shop. You can try out them. In case of chicken biryani, these meat tenderizers are not required. 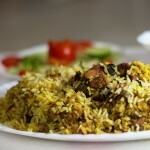 To make extra-ordinary biryani I always like the rice and meat in 1 :2 ratio. However If you want you can make 1:1 or 1:1.5 ratio. Here I have taken 250 gm good quality basmati rice along with 500 gm mutton. This is the exact measurement of authentic Hyderabadi biryani. 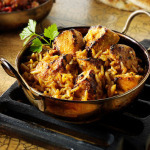 Now what is the right kind of cookware to make biryani? 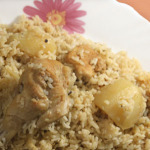 Traditionally the biryani is cooked in degchi. As it is not available everywhere except India, so you can use a vessel whose bottom is round, thick and deep to make sure that the meat is not sticking to the base of the vessel. It also ensures even distribution of heat from all sides of the bottom and heat retention for longer time without burning the food. Updated: Now you can get the “Biryani Pot” from amazon. 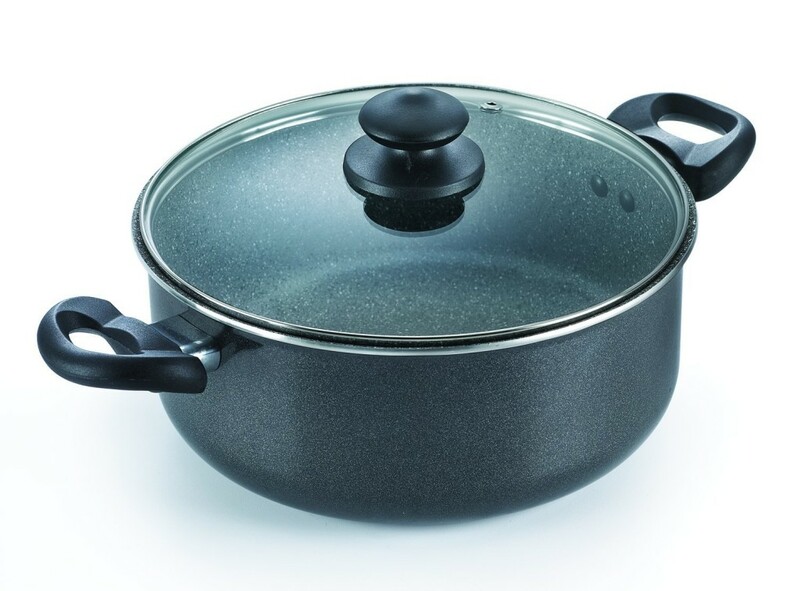 This is a 5-layered non-stick cookware, can be used on both gas and induction cook-top. Perfect for biryani. For more products, click here..
First you need to make garam masala powder using the ingredients mentioned below. 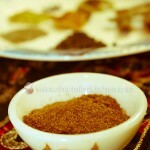 Try to use freshly ground spices because they add fantastic aroma to the biryani. Spices that are stored too long lose their pungency. They are just lightly roasted and grind to a fine powder. Goat or lamb meat : 500 gm cut into big chunks. So let’s marinate the meat first. In a large bowl, add all the marinating ingredients. Put yoghurt, ginger garlic paste, Red chilli powder, Turmeric powder, Garam Masala powder, Saffron, Lemon, Fried Onions, Green Chillies, Coriander (finely Chopped), Mint ( finely chopped),Salt to taste, oil/ ghee. here I am using ghee or clarified butter. This is one of the secret ingredient of making good tasty biryani. and mix well. Now cover and keep it in the refrigerator for atleast 2-3 hours. In a large pan, bring surplus water to boil. take a piece of soft cotton cloth. put 2 cloves, 2 cardamoms, 1″ cinnamon stick, 2 bay leaves,, 4 black pepper corns in and make a bundle of this. Now drop this in the water and it is going to release flavor as much as it can. Another reason is I don’t like the bite of whole spices. Also add oil, shahi jeera and good amount of salt. Don’t worry about adding salt. Because most of the salt will go off while draining water from rice. Let it come to boil. In the meantime prepare Saffron Milk. Slightly roast and crush the saffron strands and put them in lukewarm milk. 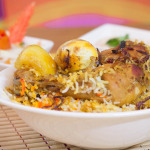 It gives the biryani distinct flavor and orangey- yellow streaks. Keep it aside. Soaking the rice is also very important because it helps the rice expand to maximum length. So soak it in the water for 30 minutes. Choose long grain basmati rice. We should cook the rice in two parts. When it is just cooked for 1-2 mins. take out half of the rice. It will go on the 1st layer of the meat. and continue cooking until you get good 1 boil that means the rice should roll over in the water. Now drain out the water and save the drained water because i will be using this water also..
Our rice is cooked, meat marination is done. Now it’s time for assembling. Put the mutton on the base of a pan in which you are going to make the biryani. Add drained water( reserved starch water from cooked rice) because the meat needs some moisture to cook which it gets from this water and thus overall biryani remains nice and moist. Put the half of rice on the top of the mutton. Spread fried onion, saffron milk, ghee and garam masala powder on the rice. Now add rest of the rice on it and spread rest of the fried onion, saffron milk ,coriander leaves, meant leaves and ghee. After layering the rice and meat, It is also important to leave around 1/4th of the vessel free for the steam to collect and aid in cooking. Now you can either seal the edges with roti dough or use a piece of foil paper and seal the top. I think 2nd option is more good and convenient than 1st option. Now cook it for 5 mins on high flame, then 15 minutes on medium flame and 30 mins on simmer. After 45 mins, It is good idea to keep it like that for 15 mins. Be careful when you are opening the lid out, because the steam can be dangerous. Your Hyderabadi dum biryani is ready. There is a special cut of biryani. put a spatula at the edge of the vessel and lift it up carefully. I love to enjoy with vegetable raita and green salad. Just came across your recipe for Hydrabadi Dum Biryani. Will definitely try it. We are in Canada and all the spices are available here. I like your simple way of explaining things as well. I am sure a lot of people would benefit from your knowledge and presentation. With just this one recipe I think you have done a wonderful job. I will definitely ask more people to go to your website. Thank U Rohinton. Your comment encourages me to do wonderful job. I have tried half kg chicken biryani and it was awesome. I wanted to ask that if I have to make for 1 kg chicken then water will be 3 cups( exactly double). I just made this recipe and it was very good! It reminded me of the Hydrabadi Dum Biryani I had in Seattle! Thank you for sharing! Well explained. Good job. Keep it up. Can you advise how much of drained water to be poured back to the meat. Ace recipe! Simple & explained very clearly. The result is mouth watering too! Added a couple of aloo bukharas along with your recipe which just added a hint of zing which worked wonders for me. Keep up the great work!! Thank u… keep trying my other recipes..
Hyderabadi Biryani is for GOD sake is not mixture of Andhra Cuisine !! If you say so it means you really don’t know how to cook the real Biryani !! There are 1000s of recipes floating around none the same …. 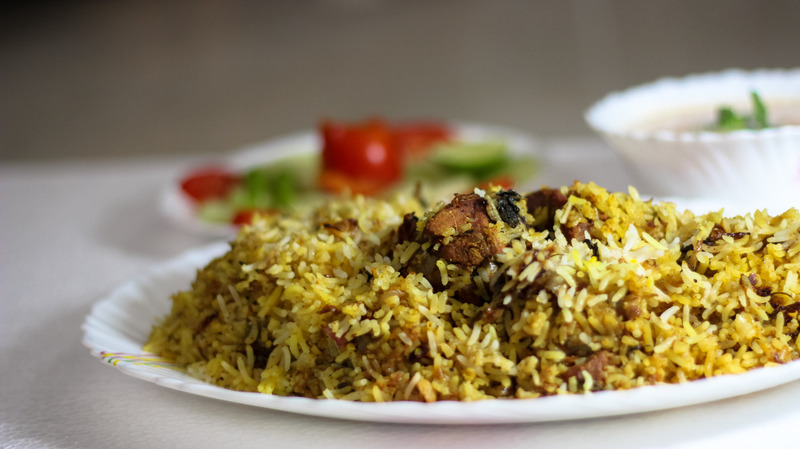 This is the kachchi biryani means the meat should be uncooked while layering the biryani. The meat will cook with help of steam or dum that will breathe when you close the lid very tightly. steam should not come. The rice should be cooked in two parts. when it’s 40% done take out one batch and when 60% take out another half. then layer it. everything is explained completely in the video. don’t worry.. the meat will not be undercooked if you make this way. First time i also had the same confusion. But after making all the confusion has gone. I make the same biryani every time and comes out always outstanding. this way you will get very tender and juicy meat and the rice will also be separated and nice. 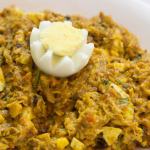 Hi Sharmila, we are planning to try the hyderabadi biriyani here in berlin, Germany as we really liked the way you explained and went on with. Can you please specify that according to the measurements you have taken here in the video and description how many normal persons can eat it..??? After making this biryani, we three (I, my husband and brother in law) ate it.. So normally 3 people can eat it..
i am from kerala…i have spend just 7 days in Hyderabad and during that tym i had the Hyderabadi chicken biriyani..its taste is superb….which is totally different compared to ours…and the taste of flavors are entirely different..if you want to see the special dishes in kerala,just click here. This blog is very helpful and your way of presentation is superb.. Very nice recipe !!! Please let me know what can I substitute the yogurt with as my husband don’t eat yogurt. I tried your Hyderabadi dum biryani recipe (with a little variations but mostly followed your recipe) and it was YUMMY. Out of this world. It’s very rare to get recipes that actually turn out good in the end and yours is one of them. Have added it to my personal collection of recipes. Thanks so much, God bless.